What’s your Biki been up to? We’re excited to share big news from ANA, All Nippon Airways! Japan's largest 5-Star airline will soon be introducing the “Flying Honu”, the first Japanese-operated Airbus A380 offering 10 weekly round-trip flights between Narita and Honolulu starting May 24, 2019. 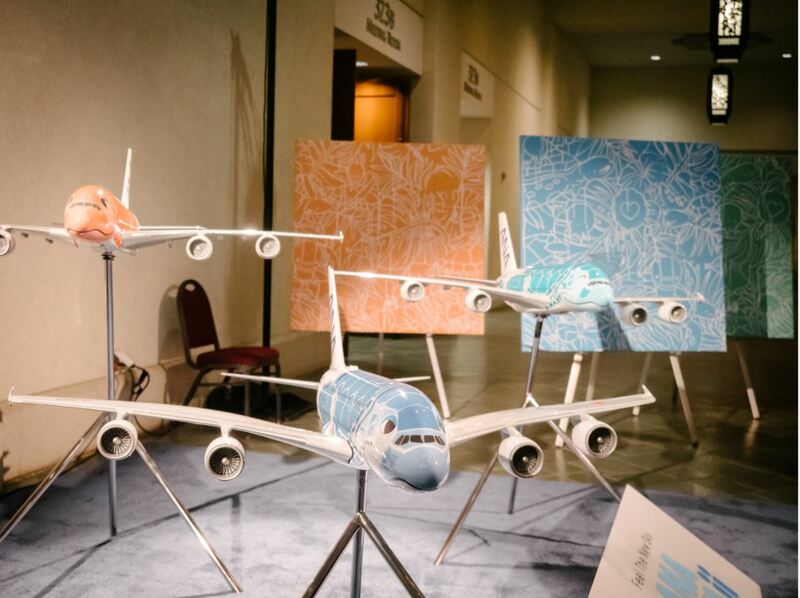 The designs of the three Flying Honu aircrafts were inspired by the Hawaiian sky, ocean and sun and selected from a contest with over 2,000 submissions. Best of all, YOU can be one of the first to travel on the Flying Honu! Tickets are now available for purchase for flights servicing the Honolulu-Tokyo route this coming May. 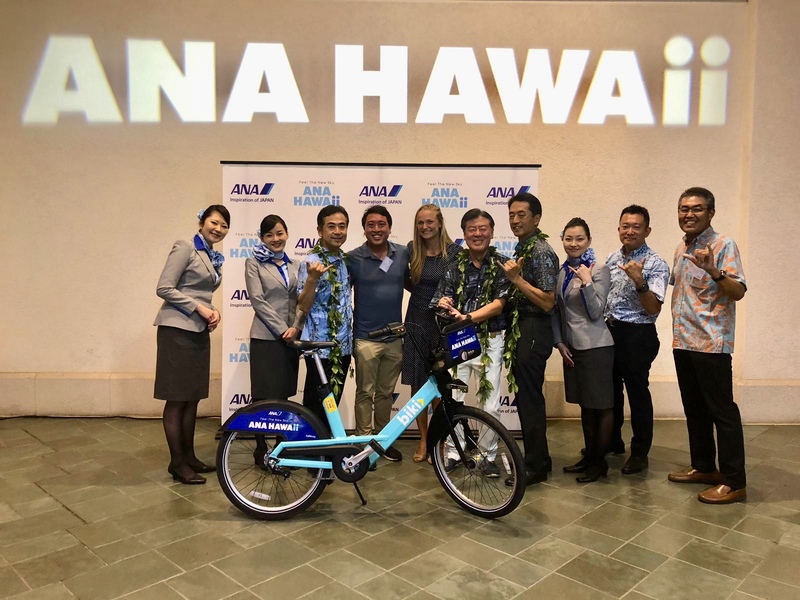 As part of their debut, ANA is offering special rates for flights between May 24 and July 11, 2019. The airline is also celebrating the launch by donating 520 milo (Pacific Rosewood) to the Hawaiian Legacy Reforestation Initiative, one native tree for every seat on the aircraft. 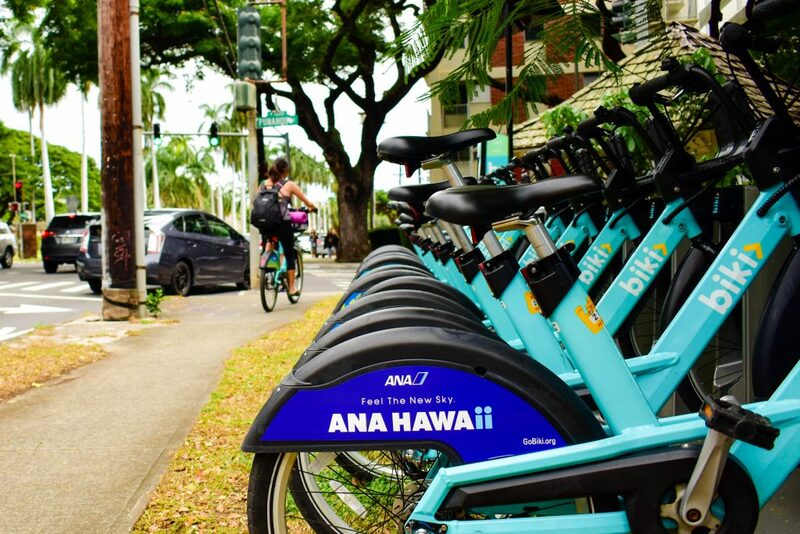 ANA began a partnership with Bikeshare Hawaii and Biki in May 2018 to support an alternative means of transportation that encourages healthy living and promotes environmentally-friendly practices. ANA’s commitment to taking CO2 reduction actions dates back to 2008, when the ANA Group became the airline and transport industry’s first certified Eco-First company. Some of their initiatives include the ANA Carbon Offset Program aimed at regenerating Japan’s forests, e-flights to consider the global environment together with customers, “3R” (reduce, reuse and recycle) activities, participation in forestation and coral regeneration programs, and the introduction of biofuels. 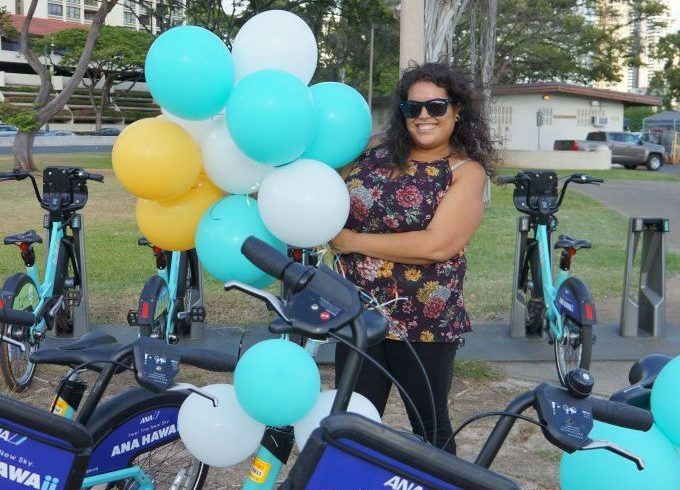 ANA also participated in our Millionth Ride campaign in August 2018, awarding Honolulu resident Ashley Gallaraga, the lucky rider of the millionth Biki trip, with two round-trip tickets to Japan! 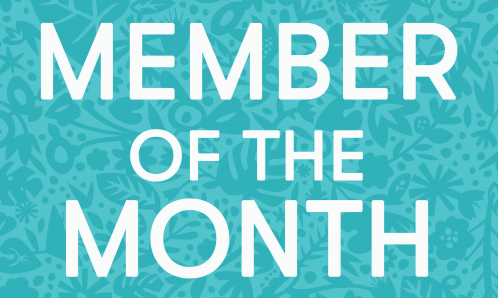 We’re very proud to partner with ANA and other forward-thinking organizations that want to make a difference in the community. Congratulations to our partners - we can’t wait until May! 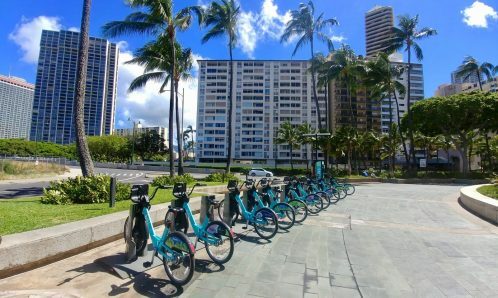 Interested in partnering with Biki? Please get in touch to learn what opportunities are available! 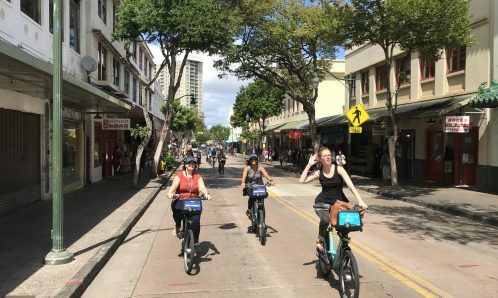 Kelsey@bikesharehawaii.org.